We’re back! Announcing this summer’s Shakespeare in the Hills! Originally set in Shakespeare’s native land and time, this comedy shares traditions with today’s well-loved sitcoms. With its dexterous mingling of verbal and physical humor, we’ve brought it into the era of 90’s television, bringing elements from the show Friends and many more! Performances will be July 19th-August 3rd. 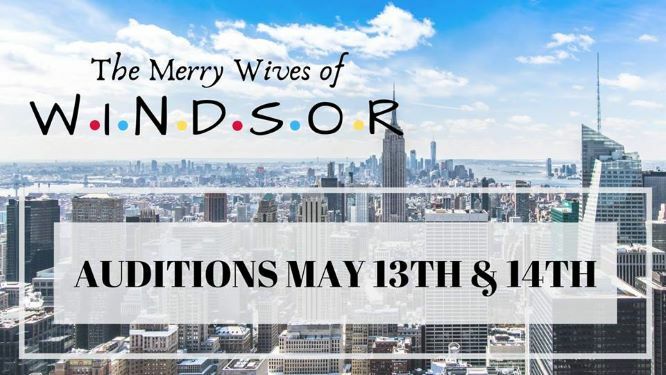 Auditions will be May 13 and 14 starting at 6 p.m. They will be held at Laguna Hills Community Center 25555 Alicia Pkwy, Laguna Hills, CA 92653. Please email the director to schedule your audition appointment. aurorajculver@gmail.com.